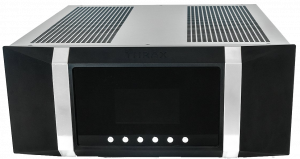 Thrax amplifiers bring down the barrier between you and the music, allowing you to rediscover your favourites and teaching you a thing or two about sound definition. Connect with music and be moved by the power and quality of sound. Single-ended tube input stage loaded with a phase splitting transformer controlling 2 separate out of phase single-ended amplifiers for output. The tube handles all the voltage gain needed. It uses a new generation or our choke rectified shunt regulated power supply providing a noise-free operating point. A single chassis audiophile system witht the sound you want and the features you need. ENYO is not just a tube integrated amplifier with digital inputs. It is a complete solution for your home audio needs, just add speakers. 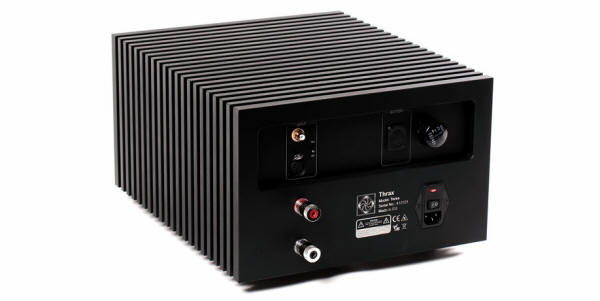 The control amplifier is still the centrepiece of each high-end audio system. It is responsible for source selection, signal conditioning and volume control. The input of our pre-amplifier provides optimal loading for the source component to develop its full potential, allowing it to extract the maximum amount of information while keeping all noise picked up on the way out of the signal chain.